LabVantage Managed Services provides full lifecycle application management services for your business-critical LIMS solution. The service allows you to turn over the operations and optimization of your LIMS with confidence and ease. True 24 x 7 support with fast-path resolution of your site-specific configuration issues. We guarantee uptime service levels. Through system instrumentation, we monitor system and interface performance to proactively identify bottlenecks, resolving issues before they impact operations. A dedicated team of LabVantage experts manages your configuration, which ensures faster results. They will work hard to maximize value and resolve issues. The LabVantage Managed Services team partners with you to proactively plan for and complete enhancements, upgrades, and organization of your configuration to maximize the value of your LIMS solution. 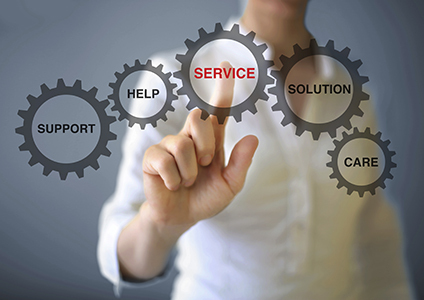 What can LabVantage Managed Services do for you? Daily monitoring of the production environment including ticket logging system. Monitoring inbound and outbound alerts coming to and from the LIMS system to ensure on-time data flow. Install and update patches, software, (e.g. JBOSS) any in-scope systems. Validation testing efforts will be fully supported. Required documentation will be prepared and coordinated for validated environments as necessary. Resolve bug issues for any configuration or project code related issues. Perform enhancements, optimization, and upgrades as defined within the Statement of Work. Please download our datasheet to learn more. For more information on Managed Services, please email us at lvsinfo@labvantage.com.